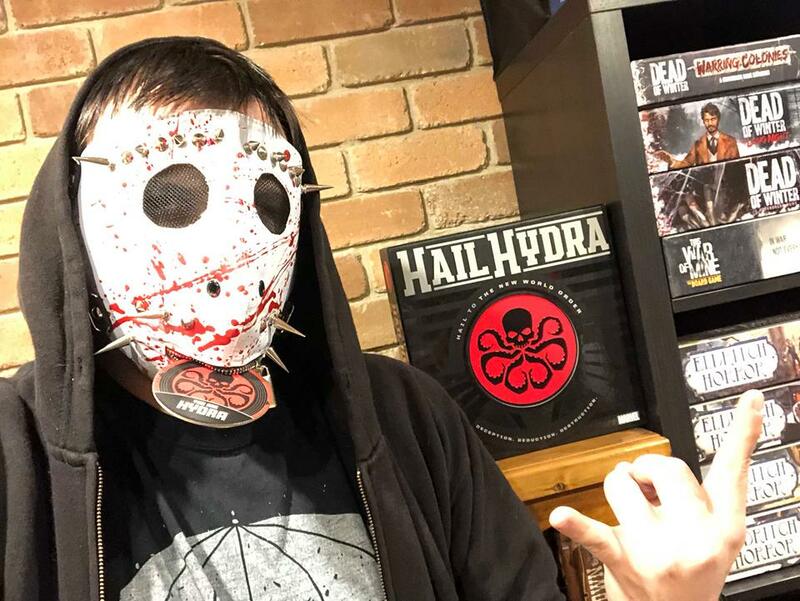 As three completely law-abiding citizens (Hail Hydra), the Dice Men are today discussing a new social deduction game for other law-abiding citizens (Hail Hydra); but we can’t tell you what it’s called as that is against the law (Hail Hydra). And one of the surfaces that Leon played games on recently was his newly delivered and built Table of Ultimate Gaming!!! Was it worth it? Worth the wait? Worth the weight? Does size really matter?? Our jealousy towards Leon steers us towards a discussion on what would the ultimate gaming room look like. Garth needs some advice as his new gaming room is getting nearer to completion. Then finally, we make up for last week by chatting about the Kanga nominated game Lisboa. If you haven’t played it yet and even if you have, well, you should listen. And that is the show this week! Thanks to our favourite area, Area 52. Hobart’s home of all things geek and gaming.